The Color Reproduction Index indicates the ability that a light source has to accurately reproduce the colors of the objects, compared to a reference light source that we consider ideal. The maximum value is CRI= 100. 1. Color reproduction involves more than the accuracy in the reproduction of color. 2. The calculus procedure of IRC is partially biased and contains some randomness. We already discussed point 1 in a previous post “Color reproduction vs CRI”. We will now focus, then, on the second one. How is the IRC calculated? We light up a color sample with the light source for which we want to calculate the CRI. We compare the result with the one we would obtain with an ideal light source. We then repeat the procedure for seven more colors, and then we determine the average, which we will use as the base to determine the CRI, on a scale with a top value of 100 (optimum color accuracy). What colors are used as reference? They are evenly distributed through the whole palette, that’s why the CRI works better in steady spectrums. So, for example: for an incandescent bulb, we should expect that, if color n. 6 has a good reproduction, pure green will also have it. The problem arises when, with the appearance of discharge lamps —and, more recently, of LEDs—, the casting spectra stopped being so steady. It can occur that the values taken as samples in the IRC don’t happen to be representative. Furthermore, there’s the drawback that the eight reference colors correspond to pastel tones, whereas, in the process of visual perception, the ones that play a more relevant role are precisely the most saturated colors. In order to partially correct these shortcomings, sometimes we can use the index broadened with seven additional colors (IRC15) that include, among others, the most saturated hues. Because the result was obtained from a calculated average, the CRI can be concealing the fact that some specific value is far below the rest. For that reason, especially in the case of LEDs, sometimes the value is given for saturated red, which is usually one of its weakest points. Which light source is used as the “ideal” reference? If the analyzed source has a color temperature lower than 5000K, the light taken as ideal reference corresponds to the radiation of the black body (a light similar to that casted when heating an incandescent filament). For higher temperatures, the base that we use is natural daylight. It is important to emphasize that each source is always compared with an ideal light corresponding to the same color temperature. Thus, for example, if we study a 3000K LED, its radiation will be contrasted with that of a black body at 3000K. Likewise, if we analyze a 4000K LED, the comparison will be made with a black body at 4000K, etc. It is also helpful to remind ourselves that the higher the temperature of a filament, the colder is the light it casts. Radiation of a Black body for different temperatures. Thus, it makes little sense to compare the CRI of sources that have different color temperatures. In fact, it is not strange that, for example, a 4000K LED with an 80 CRI is better at reproducing blue hues than a 2700K incandescent lamp with a 100 IRC. But, if the IRC is 100, doesn’t that mean that it reproduces all colors perfectly, including blue? The apparent contradiction is due to the fact that the 2700K light that we define as ideal (CRI=100) is poorer in the palette of blues than its 4000K equivalent. Simply stated: the 2700K IRC is less demanding than the 4000K CRI when it comes to assess the reproduction of blue shades. The opposite occurs with the reddish shades. Ultimately, we are using the same name (CRI) for a comparison whose reference base is different for each color temperature. 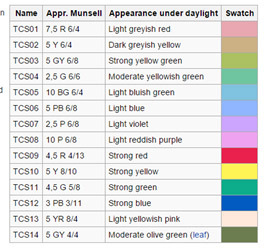 The truth is, there is a different CRI for each color temperature. When the calculation method of the CRI was established, infinite ideal light sources were defined: as many as color temperatures existed. Which is another simple convention, because, from a physical point of view, there is nothing like an objective and universal concept of ideal light. However, a large part of our decision making capacity when assessing the quality of light is based on the CRI, that most of the times ends up being the only selection criterion; even when its value is in conflict with our visual sensations. Occasionally, due to market demands, we can find a manufacturer that modifies the components of a LED so it casts more light on the spectrum areas that improve the CRI, even at the price of diminishing the emission in other areas that are maybe irrelevant to the index, but that contribute to improve the perception. This way, we can find the paradoxical case in which the CRI value is increased by simultaneously decreasing the real color reproduction quality. That’s why, in that aspect, we should keep a more critical attitude. Without minimizing the fact that the CRI is a very useful tool, the experimental observation/comparison by using a sample of the light source in real conditions also ends up being a method that we should really bear in mind. Is direct observation a procedure full of subjectivity? Of course it is! 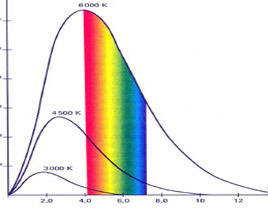 But, let’s not forget that, even though the IRC calculation is objective —different labs will always obtain the same value for a specific light source—, the index definition proper —the relatively random choice of reference colors and of the spectrum that is considered ideal light—, implies that it contains an important subjective side.